Buy 100 pounds or more for $6.60/pound. Unbleached abaca is in sheet form and sold by the pound. It is our most popular pulp. Each sheet measures 29.75" x 27.25" and weighs just over a pound. However we may cut sheets to fit more easily into boxes. Unbleached abaca can be processed very easily in a kitchen blender or other form of mixer if a Hollander beater is unavailable. Unbleached abaca is beige/gray in color and is our most popular pulp. This abaca is in sheet form and can be processed very easily in a kitchen blender or other form of mixer if a Hollander beater is unavailable. Abaca is the Philippine word for Manila hemp, the fiber that comes from the stalk of a special type of banana tree, Musa textilis. This fiber came into use in the U.S. primarily for the making of tea bags and filter paper which required a thin, porous paper capable of withstanding hard use. 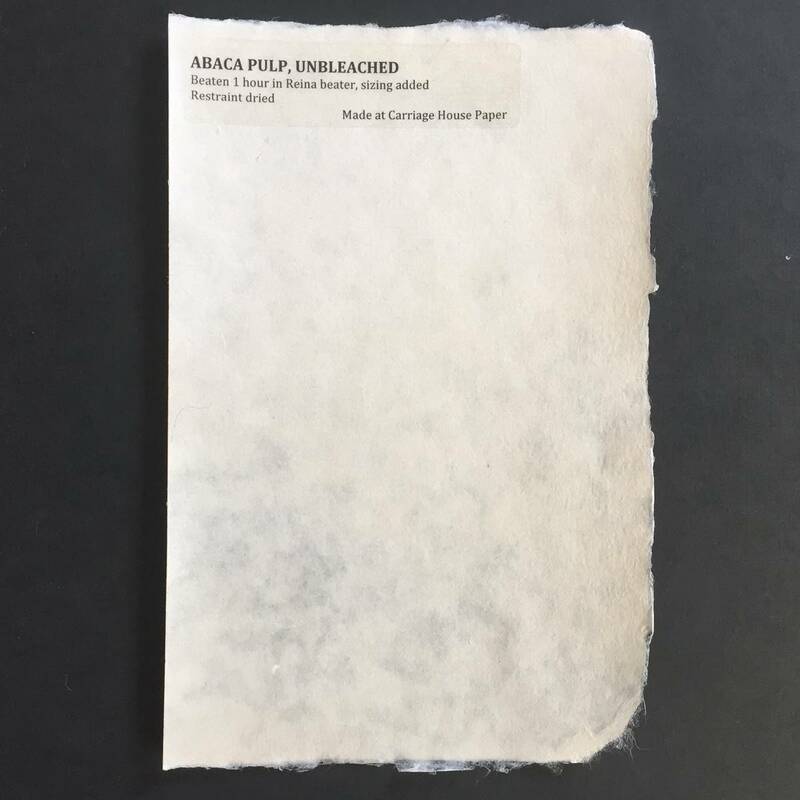 Abaca paper has incredible "wet strength", enabling the artist/papermaker to pick up a wet, newly formed sheet of paper and manipulate it into any shape without tearing the sheet.  It also has a long fiber length and is excellent for sculptural applications as well as being a remarkable substitute for Japanese - style papermaking, eliminating the need for hand beating the bark fibers. Longer beating times in a Hollander produce wonderfully crisp and translucent sheets. We strongly recommend abaca as a versatile, all-purpose pulp.